The distortions that you see in the first image are because of the resolution for the guiding circle. The default value is 12 which gives lots of distortions. By changing it to 64 (max), all distortions disappeared. 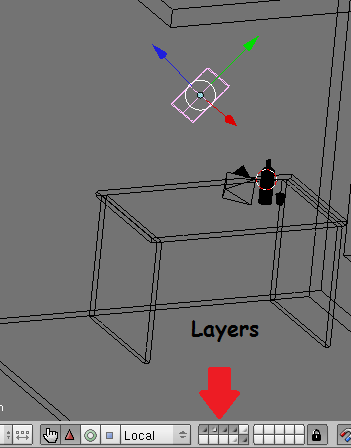 Had this problem today with Blender rendering only Frame 1 in spite of repeatedly baking the animation and setting the view to another frame. I had a cloth piece which was to fall freely under gravity by around frame 100 after which I wanted to render the image. 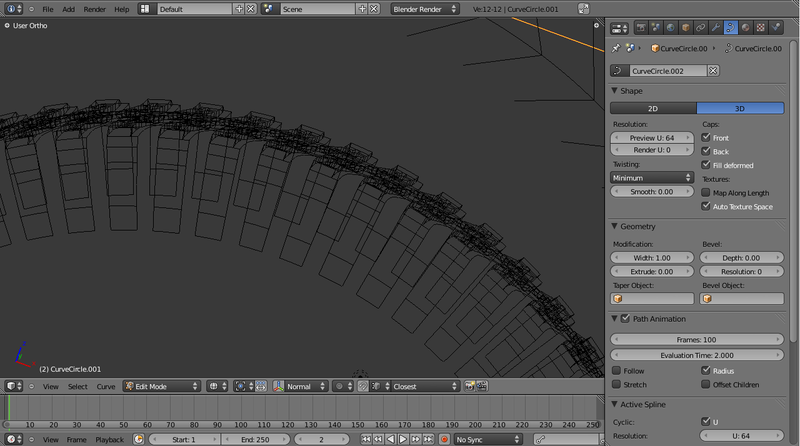 But after setting it up, when I rendered it, I kept getting only the first frame. 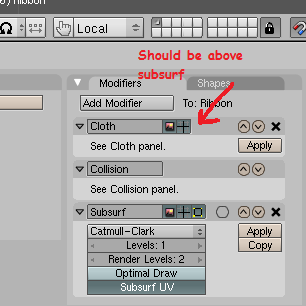 After searching for quite some time on the net, I came across this post which suggested that the subsurf modifier should be below the cloth modifier. And it worked! 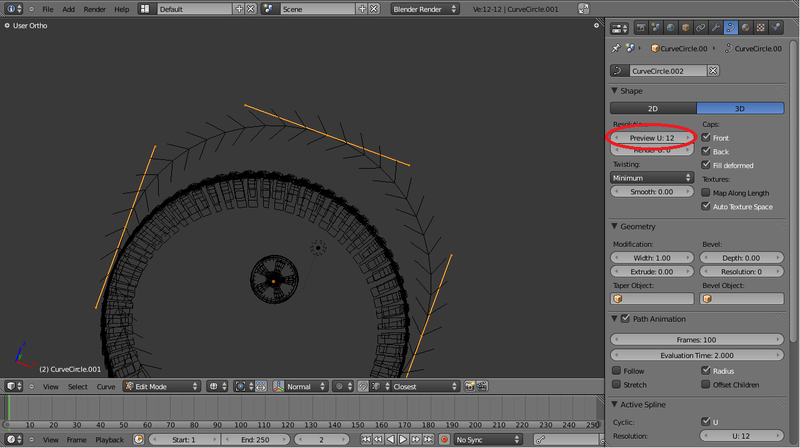 Now it renders the exact frame that I select in blender. I love Blender 2.5. I love the improved interface, the ease of use and configurability it allows. It’s a huge step forward from 2.49b. However, I love using Yafaray and LuxRender. And constant updates to blender 2.5 is keeping the good folks from LuxRender and Yafaray from coming up with a “one-patch-fix-all” solution to the rendering exporters. I have spent countless hours trying to get LuxRender to work with Blender 2.5 beta (Of course it’s easy after you do it the first time! 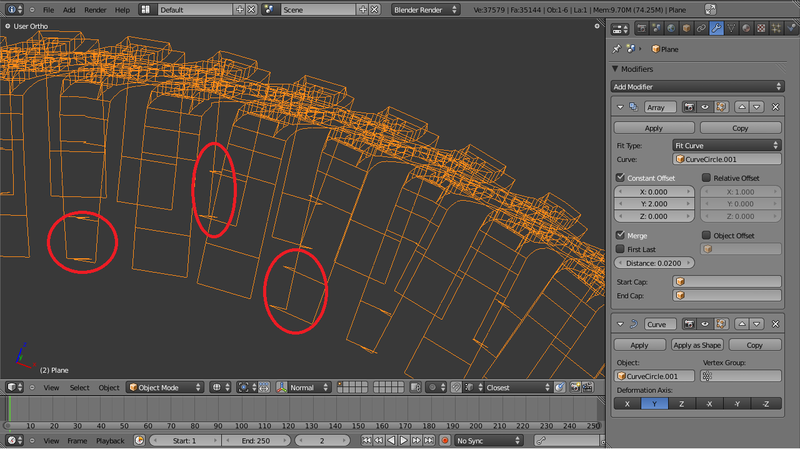 ), but then the problem of having some features missing simply takes the fun out of rendering. I also realised I was spending too much time downloading various releases from Graphicall.org and trying them out rather than working on modeling. So, with that, I’ll be using 2.49b until 2.5 comes out of beta and the exporters are in place. PS: Any scene modeled in 2.5 might fail to load in 2.49b. I had the problem with a scene in which I had a wind generator. I went around this by exporting it to Collada format (.dae) and then importing it in 2.49b. Of course, I lost some of the settings in terms of textures etc, but it’s still better than not being able to work on it at all in 2.49b.